Wood wool board is an environmentally friendly material for building decoration and insulation as wood wool acoustic board does not contain organic binders. Wood wool is made of wood silvers cut from logs. It is one of the two raw materials for cement-bonded wood wool board. Of course, the other raw material for wool wood board is cement. Wood wool fibers can be compressed, and when the pressure is removed, they return to the initial volume. When these wood wool fibers are combined with cement, the bonded wood wool board is produced. Decorative wooden panel is an environmentally friendly material for building and insulating as they do not contain organic binders. Colour: Natural, Gray, Black, White, etc. 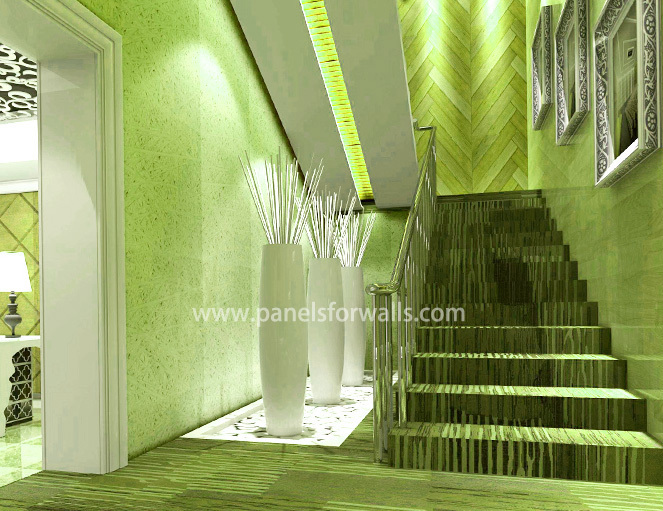 Wood wool board was developed as a new wall panel in Europe, especially in Austria in 20th century. The wood wool acoustical panel has many advantages such as have a very high NRC and are ideal for acoustics and sound proof activities, provides high thermal insulation, do not burn easily or quickly, highly durable and has a long service life, environmentally friendly and eco-friendly, recyclable and do not cause any health problems with humans or animals. As people are having higher standard on environmental protection and sound reduction, wood wool acoustic board is getting more and more popular in recent years. Wood wool board is an innovative interior decoration and sound absorption material. They can be painted by wood wool board suppliers or installers to produce a variety of color products. 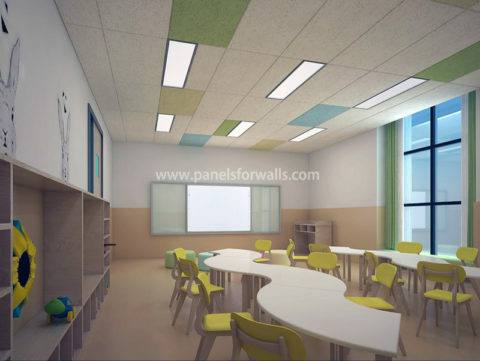 Wood wool boards are often used as wood wool insulation boards and absorption panels in classrooms, airports, restaurants, home theatres, apartment buildings, conference room, laboratories, radio room, stadiums, and so on.